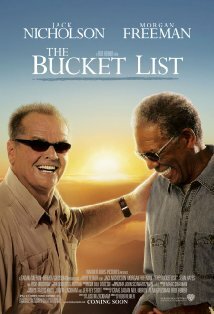 I saw the movie Bucket List on DVD when it was released. It thought the concept was very clever and thought-provoking. I’d heard of people having a list of things they would like to do, see, accomplish before they die. Visit Amazon and you’ll be amazed at how many book titles come up when you type in “bucket list”. Clearly this is a topic that many writers have devoted time and attention to. I really never had a list, and kind of lived each day as it came but lately, maybe because I’m maturing, (code for aging) I have thought of a few, mostly frivolous things I’d like to do before I die (“B.I.D”)—do any of us really know when we’ll die, of course not! But it would be fun to do some of those things you find yourself saying, “I’d like to do that some day”. I believe the list will change, evolve as I continue down “life’s path” but I thought it might be fun to give it some thought. I only have a few items on the list for now—this is way harder than I would have thought…here goes. Is this where Sleeping Beauty lives? 1. We haven’t been to Europe since our Christmas trip in 1998-1999, when we took our 2 adult sons for Christmas vacation to London (there’s a movie in there somewhere, right?). We had stayed in a London flat when the boys were 7 and 11 years of age, respectively. We decided we wanted to repeat the trip before the 2 were married and/or too busy with their professions to travel with mom and dad. Anyway, my point is/was, I’ve never been to Germany. I’m of German descent on my father’s side of the family and would love to visit Germany “B.I.D”. 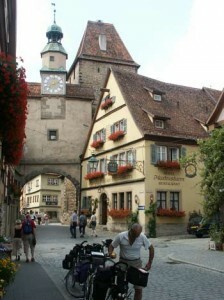 I think I would like Rothenburg, Germany. 2. I have a few friends that I enjoy traveling with. One pair of friends, Linda and Gretchen (sisters) have been my friends since before I was married. We have traveled together and always have so much fun. Another pair, Carla and Wendy, are dear friends that I have traveled with and probably have more fun with them than with hubby (don’t tell him). I’m certain it is because ‘girls’ like to do the same things. Don’t get me wrong, Hubby is amazing when it comes to allowing me to duck into an antique store, after just having been in one, but there’s something about the understanding we all share as ‘girlfriends’ that is just so dang much fun! So…I’d like to take a trip with friends almost anywhere, with both of these sets of dear friends “B.I.D”. South of France, anyone? Maybe Charleston? 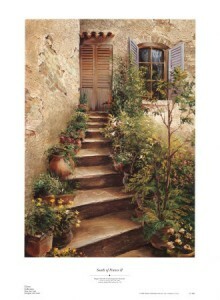 I think I would love Provence, the southern region of France. 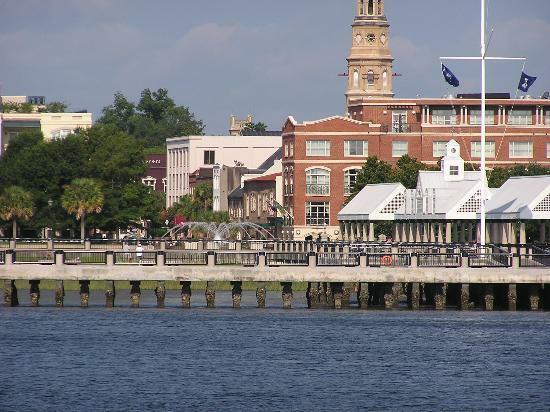 I have heard wonderful things about Charleston, South Carolina. I would want to see some of the gardens and lots of antique stores. 3. I’d like to visit an art museum and/or attend a symphony and/or stage production, monthly. I know this sounds totally doable but money has been tight sometimes and I find myself thinking, “Oh, I don’t really need to do that.” There is something about nurturing the soul, which I believe cultural events manage better than most forms of entertainment, which works for me. I definitely need to think more on this whole “bucket list” idea. I’m certain given sufficient time I can come up with a whole host of things I’d like to do “B.I.D”. 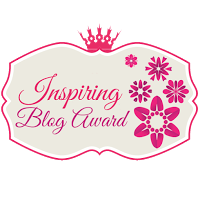 Do you have a list? What’s on it? 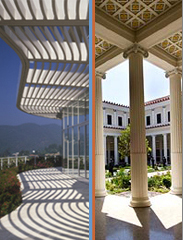 We have the Getty just about one hour (on a good day) drive from my house. I think I could spend a few months just seeing everything located at this amazing museum. Karen, I loved this post on your bucket list. I couldn’t agree more with the things you’ve listed. Our last trip to Carmel seems ages ago and I can’t wait to take another trip again. Maybe just the girls this time. Meanwhile, celebrating birthdays in February is definitely on my own personal bucket list. Funny you should mention “bucket lists” since Stu and I were just talking about that. His former boss (who’s 73) has been actively checking things off on his list for a few years now. I think turning 60 made me start thinking that I better get busy on my own list! I still want to do a bed-and-breakfast tour of New England and also visit the old plantations in the South. These would be great trips to do with “the girls” don’t you think! Count me in! I would love to visit the South and/or New England. I haven’t been to the Huntington Library in years, and years. I will make that the first one on the list for maybe April, when plants will reflect spring.